MiShel Designs: Tickle Your Fancy! It's a new year with all sorts of exciting and fun things to do! Here's a short list (no, that's not a pun on my height - although it is appropriate!) 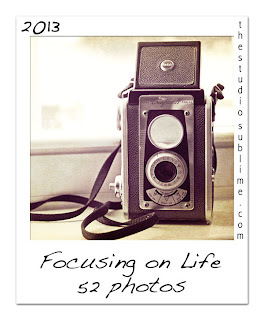 of a few creative challenges, blog hops and happenings going on here in cyberland. The Studio Sublime: Sally's offering up a great challenge called "Focusing on Life: 52 Photos" where she sends you a prompt each week during 2013 and you snap some shots and blog about them or post them over on her Flickr group each Saturday. This past Saturday was the first grouping and you should see everyone's posts and photos! Very fun indeed! You can still jump in with both feet on this one - don't miss it! Art Jewelry Elements served up their Earring Challenge this weekend, too. Earring Eye Candy - did you hear me?! Yes indeed - Earrings with art beads and/or charms - sweet! You sign up for 13 weeks at a time and they've got all the details posted on their blog - go check it out! 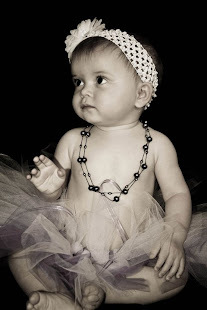 Don't forget that Lori Anderson's Bead Soup Blog Party is coming up here soon, too. Sign ups are January 25th - 27th and there's 3 reveal dates since the party is so big. Hop on over and read all about it and get in on the fun - this is one party that's sure to stir your creative juices and have you meeting new, fun and like-minded people! 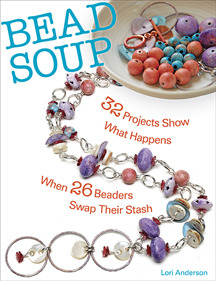 You can even get a copy of Lori's Bead Soup book to help you get ready for the fun!! Okay, I know I'm forgetting TONS of other fun challenges and hops out there that I've seen/read here online and I apologize for that, so PLEASE, PLEASE SHARE any of the challenges and/or blog hops you've seen or that you're having yourself. I hope that 2013 is being good to you so far and finds you happy, healthy and creating beautiful things! Peace, Love and Creatively Fun Things To Do! they've always got challenges, blog hops, events and all sorts of fun stuff going on over there! There are a couple Challenges over on Artisan Whimsy - one is a Soutache challenge (due the last week of the month, I think) with a great prize. The other is a handmade dyed ribbon challenge - she's taking signups through 1/8 and then will send some of her ribbon to a bunch of folks (up to 20 I think) to work with. Thanks Sherri - I'll add Artisan Whimsy to the list,...that way if there's new ones in the next couple of days people can find those, too! Thanks for the shout out! I just joined Sally's. You're Welcome Lori and I'm so glad you joined in Sally's challenge - I think it's going to be a fun year w/that one! 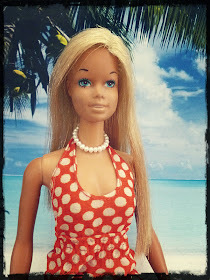 I have been MIA in blog land too but I am remeding that today!! 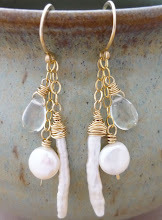 Great way to get my muse back, joined the AJE-earring challenge and plan to be part of the Bead Soup Party. Have a good day. Oh, I'm going to really enjoy seeing everyone's earrings in the AJE Earring Challenge. And, I'm looking forward this year to Lor's Bead Soup Party, too! !